Marazion is a large sandy South westerly facing beach. 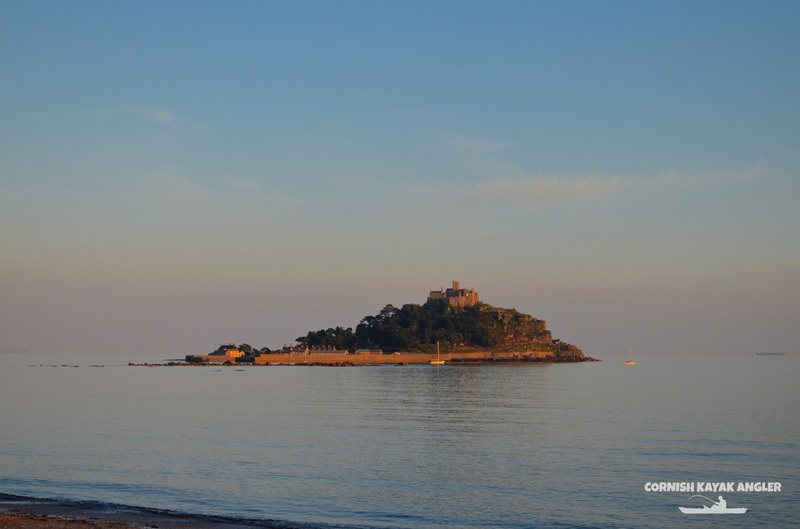 St Michaels Mount is located just off the beach and is a popular tourist attraction. Launching from the beach is possible when there is low swell. Shallow sand predominates with deeper water found out past the Mount. A few patches of reef are present off the back of the Mount and towards Perranuthnoe. A few patches of reef can be found back towards Penzance. Parking: A large pay and display car park is present at the top of the beach. A charity car park is located on the opposite side of the road to this. 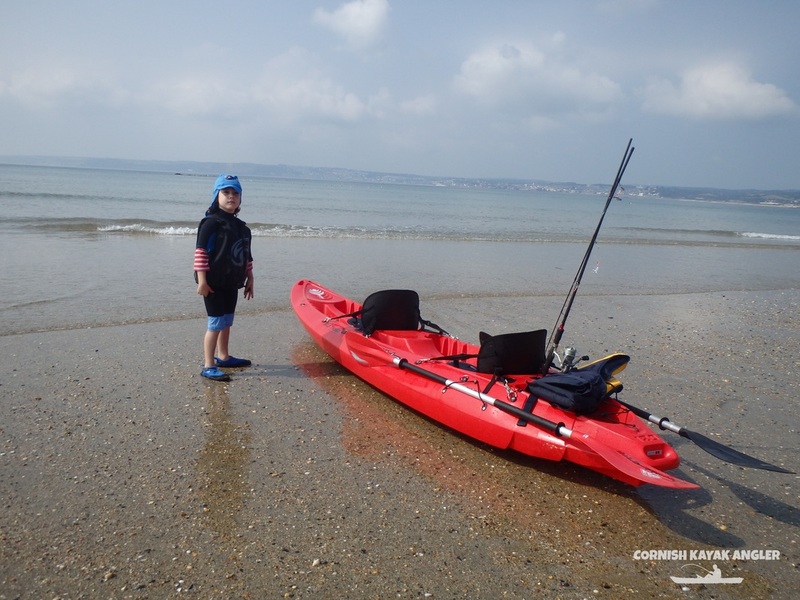 Access to the beach is very easy and a kayak can be floated down the small river running down the beach to make things easier! Species: Small flatfish and gurnards are possible over the clean ground. Mackerel and garfish can be caught in the deeper water off the back of the Mount in season. The occasional Pollack will show over the reefs. Bass can be caught early morning to trolled lures. Bull Huss are possible if anchored over broken ground and Small Eyed Ray if anchored over clean ground. 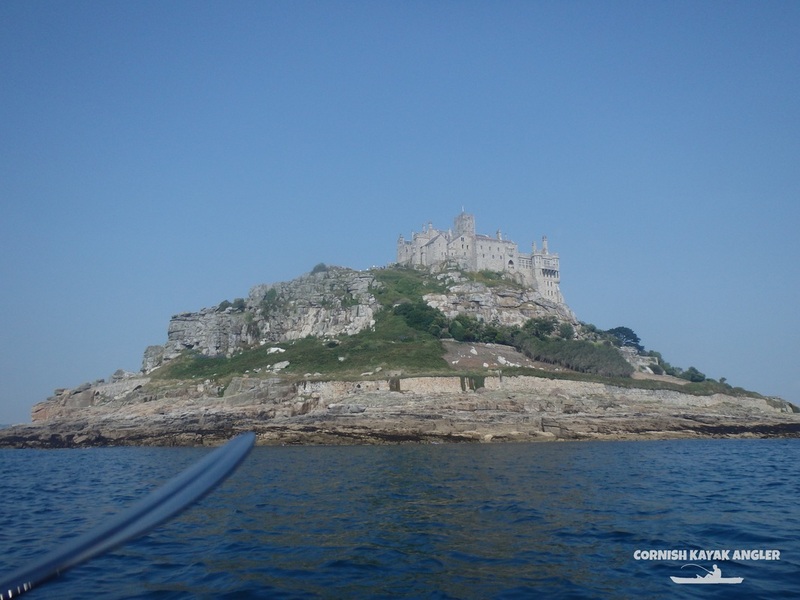 Paddling around St Michael's Mount gives stunning views!